Hockey Plumber: Hockey's S.O.P. - Same Old Prejudices? 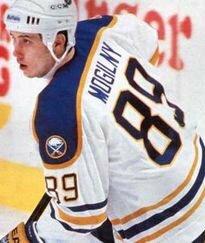 Remember the "Good ol' Days" of the NHL? 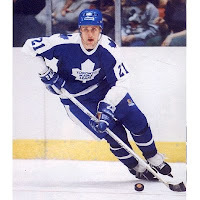 When Western Canadiens and a handful of Americans played the game "the it ought to", while those silly Francophones spun in circles, playing their own brand of figure skating with sticks? Then came the European invasion. The "Frenchies" suddenly became "North Americans", while the Czechs and Russians introduced their trademark "Commie" ballet-on-ice to NHL rinks everywhere. The Swedes and Fins filtered in here and there, but no one really noticed them much. It's 2010. We don't use such offensive terms to describe any North American nor European players. Do we Don Cherry/Mike Milbury? If you take a look around NHL team message boards, or listen to hockey analysts and media members discuss the game; you won't find (for the most part) derogatory language used regarding a players heritage. You won't come across many instances where sweeping generalities are used when referring to players of a certain nationality. Yet, if you look, and listen closely, there is a dividing line. We began to consider European players. Particularly when it comes to general assessments regarding those players' weaknesses. And there it was. The line. All the names that came to mind with such "labels" were Russians, Czechs, Slovaks... Eastern Europeans! What about other "Euros"? Scandinavians? Are there labels there? Not many names came to mind. Not any, actually! While most Scandinavian players learn English as part of their schooling, Eastern European players, largely do not enjoy the same advantage. That line = The language barrier. While it is generally overlooked by most observers, in today's NHL, is not on-ice communication more vital now than ever? While interpreters and more experienced teammates aide in translation and game study, how much in-game communications are lost? How much more difficult is it to truly grasp complex coaching systems, or understand what a teammate is yelling in a buzzing arena? More importantly, how do those factors affect the way those players are perceived by coaches, fans, media and scouts? Anders Eriksson - Sweden - "Flaws: Doesn't use his big body effectively enough. Can at times make costly errors in the defensive zone that hurt his team." Saku Koivu - Finland - "Flaws: ...his small stature limits his effectiveness against bigger centers." Teemu Selanne - Finland - "Flaws: Struggles when playing in a defensive system. Needs a solid playmaker on his line to excel." 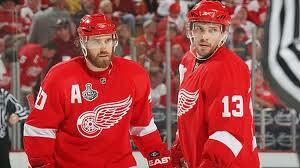 Henrik Zetterberg - Sweden - "Flaws: Is prone to the occasional scoring slump. Since he's only 5-11, 195 pounds, his body can wear down over the course of the long season." Johan Franzen - Sweden - "Flaws: Could intimidate opponents better if he were more aggressive physically." Maxim Afinogenov - Russia - "Flaws: Still plays out of control at times... inconsistent"
Ilya Kovalchuk - Russia - "Flaws: Doesn't use his linemates effectively enough. Is not very good in the defensive zone." Alexander Frolov - Russia - "Flaws: Is inconsistent in all areas of the game and needs to do a better job of bringing his 'A' game to the rink more often." Alexander Semin - Russia - "Flaws: Can be intimidated and knocked off the puck. Could use more muscle on his 6-2 frame to continue to thrive at the NHL level. Needs to better utilize his linemates and work on his defense." Marian Gaborik - Slovakia - "Flaws: Doesn't always play a team game." Pavel Datsyuk - Russia - "Flaws: Could use more bulk on his 5-11 frame to better handle physical defenders. Is a little inconsistent in the goal-scoring department. Doesn't always play with enough emotion. Michal Rozsival - Czech Republic - "Flaws: Doesn't always play with optimum intensity. Should make better use of his 6-2, 205-pound frame, since he is at times a little too soft." Invariably, no matter the team or star caliber of the player, the "knock" on the Eastern European was worded much more harshly. The Swede "Can at times make costly errors in the defensive zone", but the Russian "Is not very good in the defensive zone." The Fin's "small stature limits his effectiveness against bigger centers. ", while the Czech is "soft". We could go on and on... In fact, the term "inconsistent" was used almost as a filler when attributed to Eastern European players, but could only be found once to describe Swede Mattias Ohlund as an "inconsistent offensive performer." While we are not willing make a sweeping indictment of our own; it is quite interesting that strange correlation between the English language and one's perceived abilities in the game of hockey, no? So true. 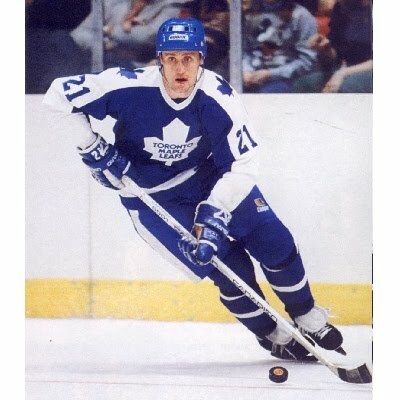 It was funny as you mentioned Datsyuk as I find he is one of the only players I’ve ever seen from Europe who doesn’t constantly get knocked for some flaw or another in his game the way so many Europeans do…expectations for players are pretty crazy overall (What! A goalie with a sub .900 save percentage!!!??) but it can be over the top for Europeans a lot of the time. Take a guy like Heatley, dude is huge and never hits, doesn’t play defense at all and is slow as hell (did you see him at the Olympics playing with the elite?..holy crap…like 5 strides behind on the rush)…but he scores 50 goals here and there (mostly all in the same fashion) so all is well. Only when he does something selfish like demand a trade is he selfish when a guy like Kovalchuk or Semin seem assumed to be selfish from the get go b/c they are scoring types. We all love a good Ryan Smyth type but sometimes dudes are just good one dimensional players. Also, Russians are found to be uncaring or harsh but these guys are operating in their second maybe third language when speaking their minds. I’m English but can speak French decently thanks to my education and what part of Canada I grew up in but if I played in the QMJHL or for the Habs or something and tried to conduct all my post games in French with a microphone in my face I would put my foot in my mouth all the time hahaha. I also find the translated Russian player interviews by Dimitry Chesnokov (sic?) on puck daddy have been really great for exposing more of Russian players’ personalities. As for Swedes…those dudes speak better English than North Americans. Great article …my first time through here. I’ll be back (T2). James, Thanks so much for your comment and please do come back often! While I understand your general thesis, your sample of one is inordinately small to be convincing. In a typical argument on a blog about who was better,Ovechkin or Crosby, a commenter said this: "In Ontario you'll see far more Crosby sweaters than Ovechkins." You immediately see the sample bias. You even inadvertently point it out in your set up. By referencing Cherry and Milbury you neglect all other hockey pundits who may not express this bias or don't even suffer from it. These reservations aside, I am fascinated by your ideas. I am a Caps fan and season ticket holder. As such, I watch Semin play on line with Fleischmann. The two often seem out of synch, particularly at home (which is loud) and against hard checking teams. Brendon Morrison was their center last year as well. While Morrison and Fleischmann speak English, Semin hardly ever does, and even then it is the broken kind. I imagine he knows the hockey related vernacular, but it is interesting to ponder your points. Good article, Nick. Wish I had more to say about it, but I'm tired. But yes, the Cold War mentality is still alive and well in the hockey world. Wow, I really like this article/post. I think all the points are valid and shows that there's a "good ol' boys" club just about everywhere. Its a nice blog, Its good and informative blog, You must have an adequate biological base, the appropriate choice of animals, not over-populate, and don't over feed. Get one of these factors wrong, and you most likely will have problems with your saltwater tank. Thanks for this nice shairng.